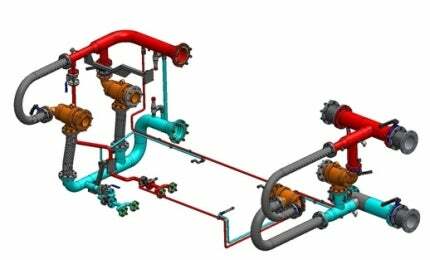 Cabra Engineering is a specialist in engineering, design and simulation of plants, machines and industrial components (especially valves and actuators) and supports the client in every stage of product development, analysis, optimisation and technical documentation. The company also has a specialised division that provides devices and test benches for leak testing. In addition, Cabra provides advisory and consultancy services on norms and directives such as machinery directive, PED, ATEX and others according to ASME and ASTM. A number of components and systems must be leak tested to ensure leakages are below specified limits. Cabra Engineering provides a customised solution for every leakage problems, using a variety of test methods. The system includes the optimal hardware and software to meet the client requirements. Available solutions for leak testing include test benches and machines (turnkey supply), devices such as sniffer aid systems (SAS), as well as customised communication software for leak testing instruments. Cabra also performs onsite leak tests on components, machinery and / or equipment for the client. Cabra Engineering offers proper solutions to critical situations by proposing its customers innovative solutions, which are designed as an integral part of a full system. The inner organisation is based on the project leader’s knowledge with a working team, formed with the necessary multidisciplinary skills required. This dynamism enables Cabra Engineering to answer the more articulated and demanding requests coming from the market, and to integrate the skills with relevant work experiences gained through the development of engineering solutions in mechanical-industrial areas. The company is aimed to meet the needs of the client and in realising innovative solutions matching the individual needs. Cabra Engineering has achieved UNI ISO 9001:2008 Quality and UNI EN 9100:2009 Quality in Aerospace.